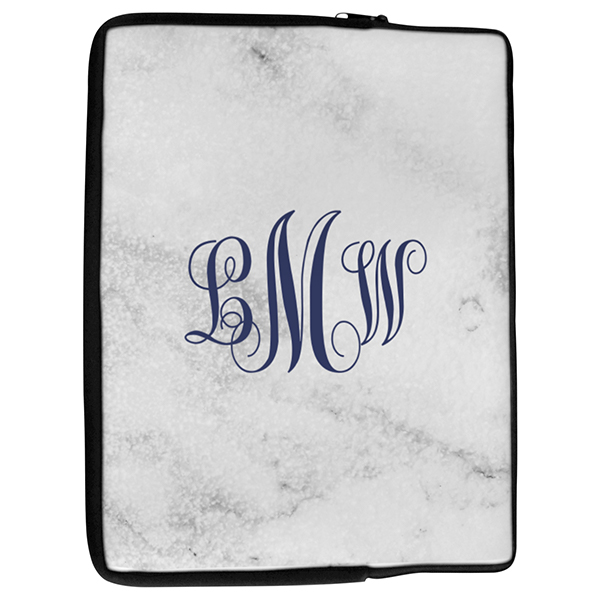 A luxurious white marble print covers our white marble laptop bag while an elegantly feminine monogram in muted navy adds a personal touch. It's no question why we're seeing white marble on everything - it's so beautifully luxurious! Add an elegantly feminine monogram in muted navy to personalize and it's sheerly perfect! Cases measure approximately 14.2" x 10.8" so they fit a wide variety of laptop brands. All our products are made in the USA.